The Faculty of Theology also houses seminaries of other denominations and provides a stimulating setting to educate Orthodox clergy. The faculty of Theology of the Vrije Universiteit Amsterdam has been ranked 7th best in the world within the subject of Theology, Divinity and Religious by the QS World University Rankings. 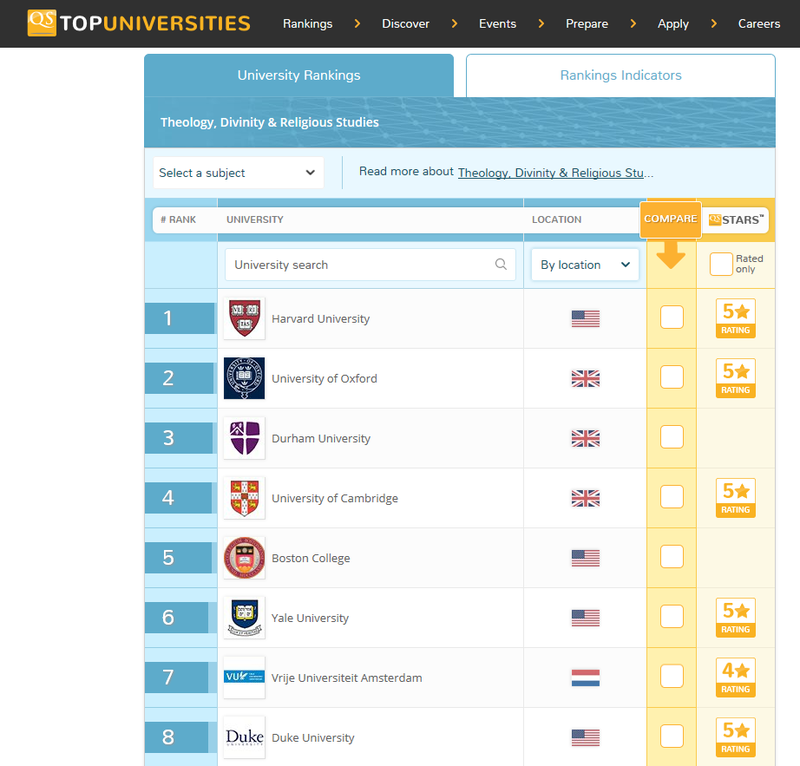 The position of the faculty is one place below Yale University and the first place was awarded to Harvard University.